The lovely pink flowers bloom early and stay late, combine that with the bright green and burgundy foliage and the fact that they're super-easy to grow and you have a real winner. 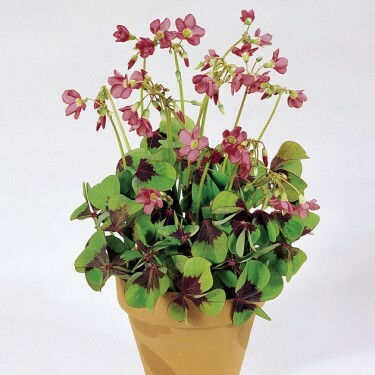 Oxalises grow in neat mounds of foliage topped by five-petaled flowers. 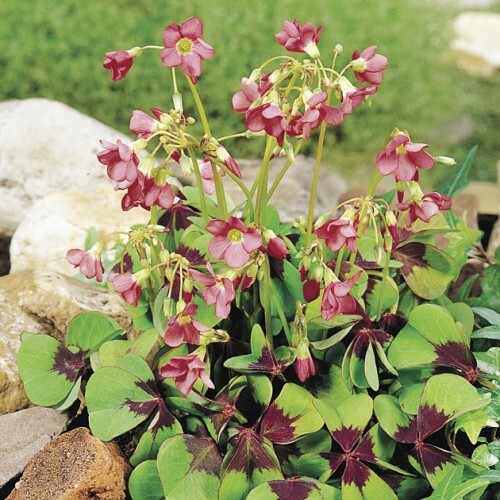 Oxalis deppei is distinguishable from other varieties in that its petals close in the hot sun and open in the cooler parts of the day. Native to South America Oxalises are popular house plants but can also be left in the ground in Zones 6-10. Spreads easily and can make an interesting ground cover!